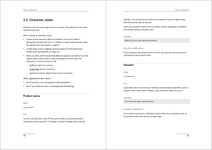 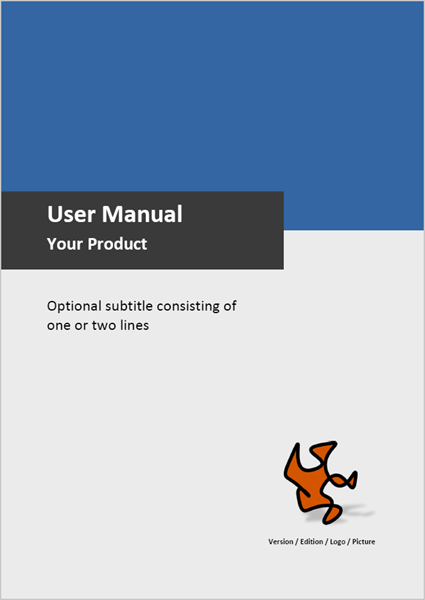 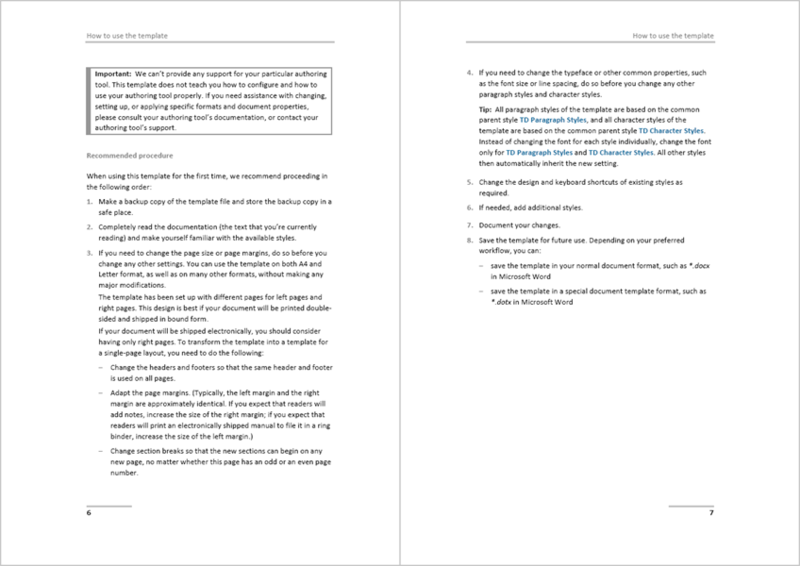 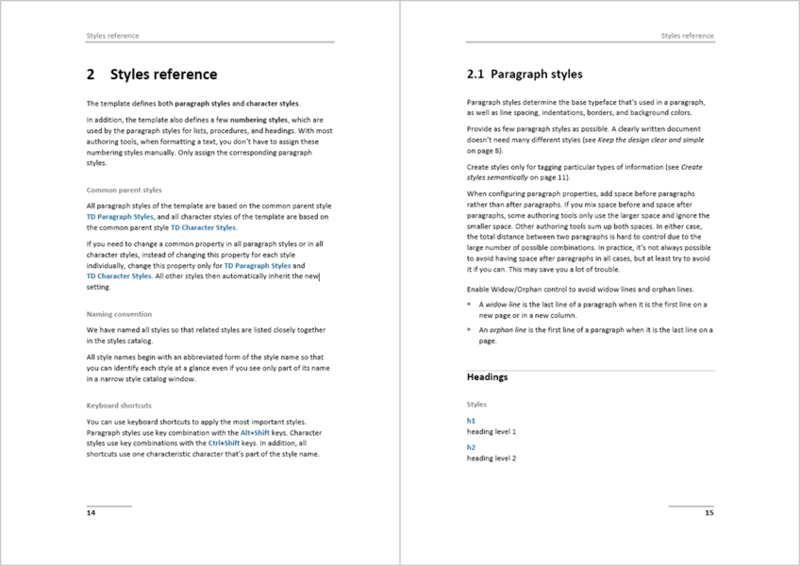 Here you can find some sample pages that were created with the help of the Starter User Manual Template, the Word / OpenOffice / LibreOffice template for creating user manuals and other technical documentation. 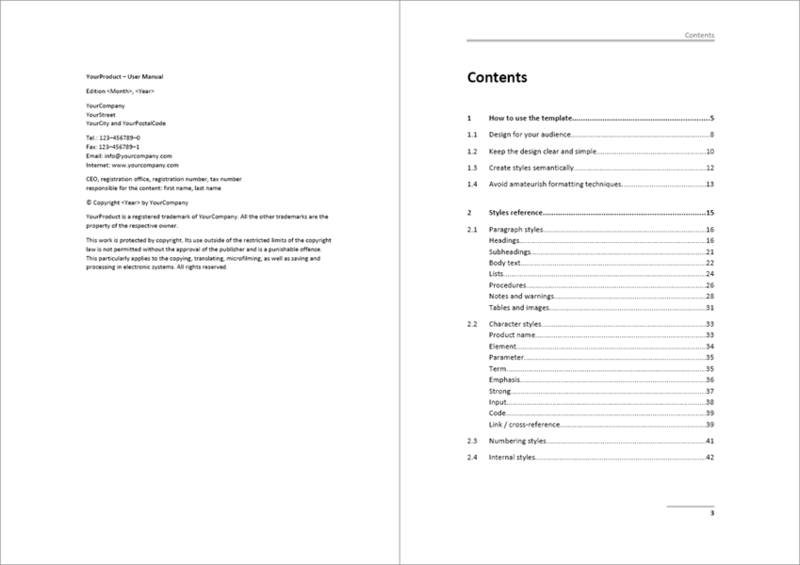 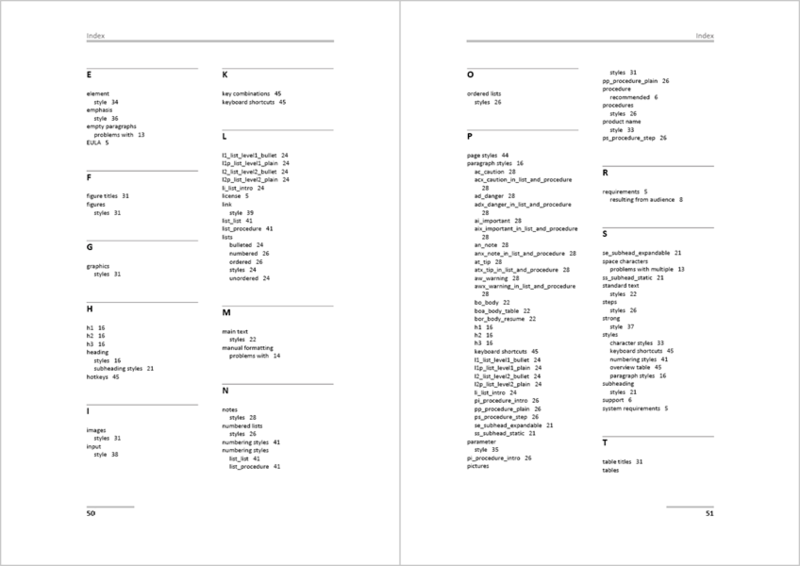 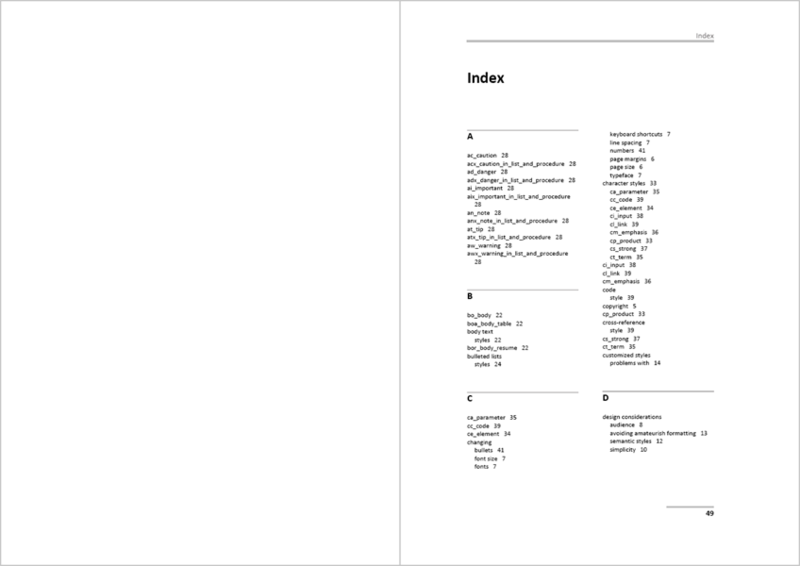 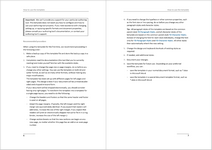 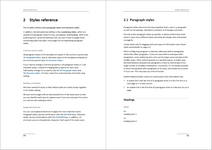 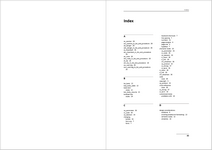 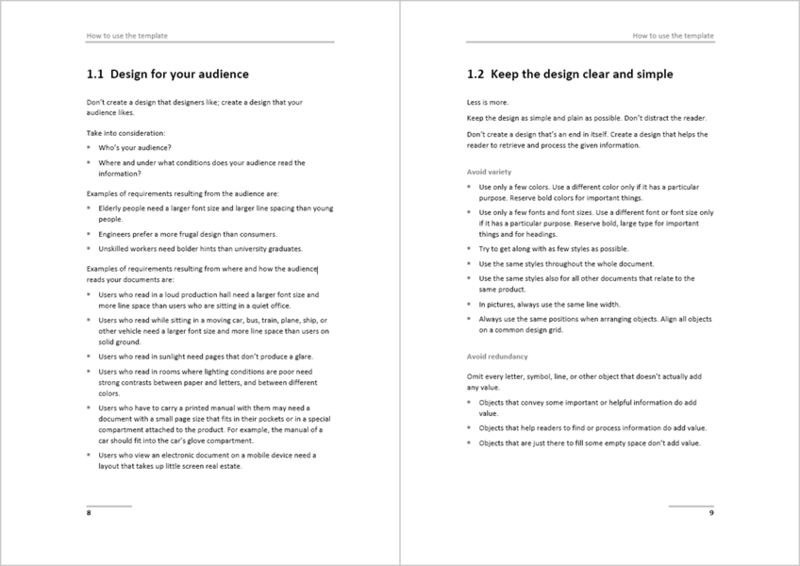 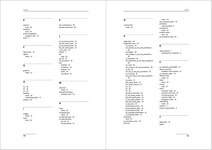 The following pictures are taken from the design guide that comes with the Starter User Manual Template. 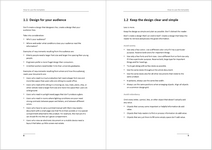 This design guide has been completely formatted with the help of the Starter User Manual Template. 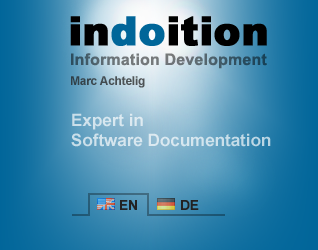 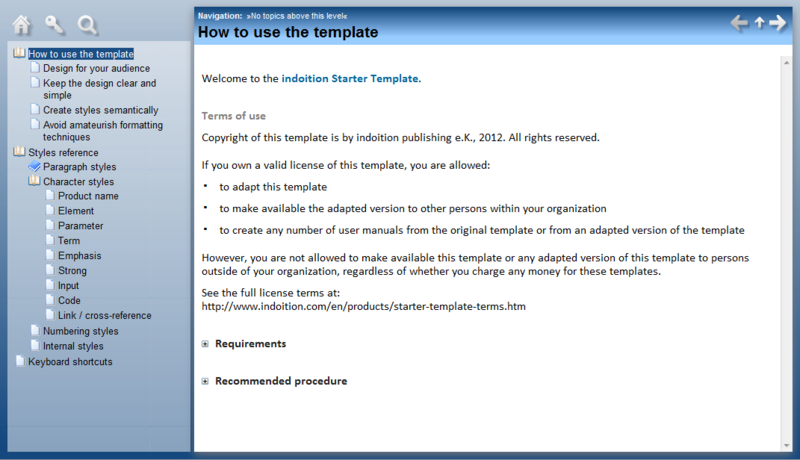 Documents created with the Starter User Manual Template can easily be imported into most online help authoring tools and then converted into online help. 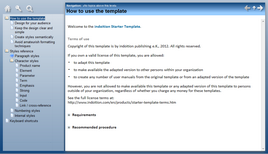 For example, the following picture shows an online help system that was created with the program “Help & Manual”. 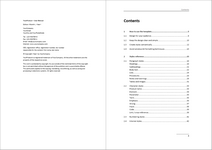 The whole process took less than 5 minutes. 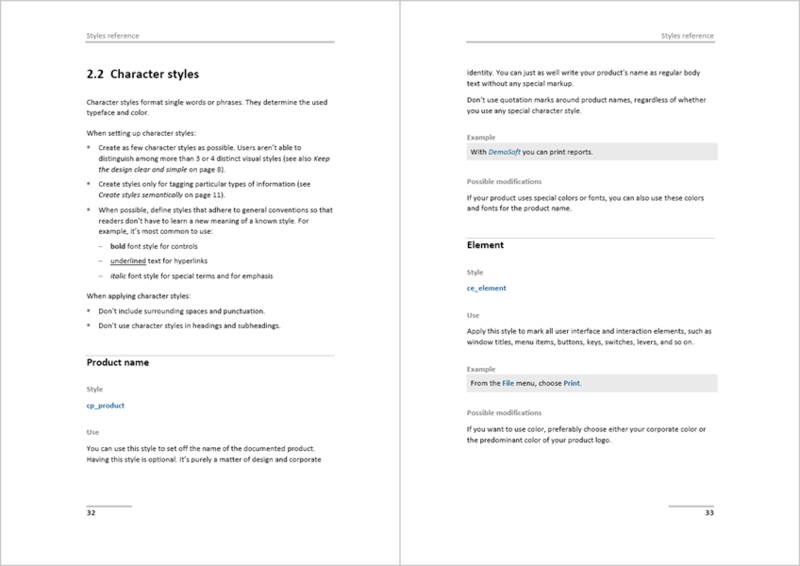 Don’t waste your time by setting up a template from scratch.